Bishop John Timon, C. M. was instrumental in the foundation of St. Bonaventure University. With Nicholas Devereux, he persuaded the Church to send the first Franciscans to Allegany and worked with them to ensure the establishment of the institution. Born in Conewago, PA, February 12, 1797, he grew up in Baltimore, working for the family dry goods business there and in Louisville, KY after the family moved west in 1818. They relocated a year later to St. Louis. After a financial crisis which wiped out the family wealth, he determined to join the priesthood, entering the St. Mary of the Barrens seminary in 1823. He was ordained deacon, and then priest, in 1825. He continued teaching at The Barrens until 1847. During this period he went to Galveston in 1838 to report on the state of the Church, which he found in poor condition. A year, or two, later he was sent back to Texas and worked with Father Odin to organize the church there. 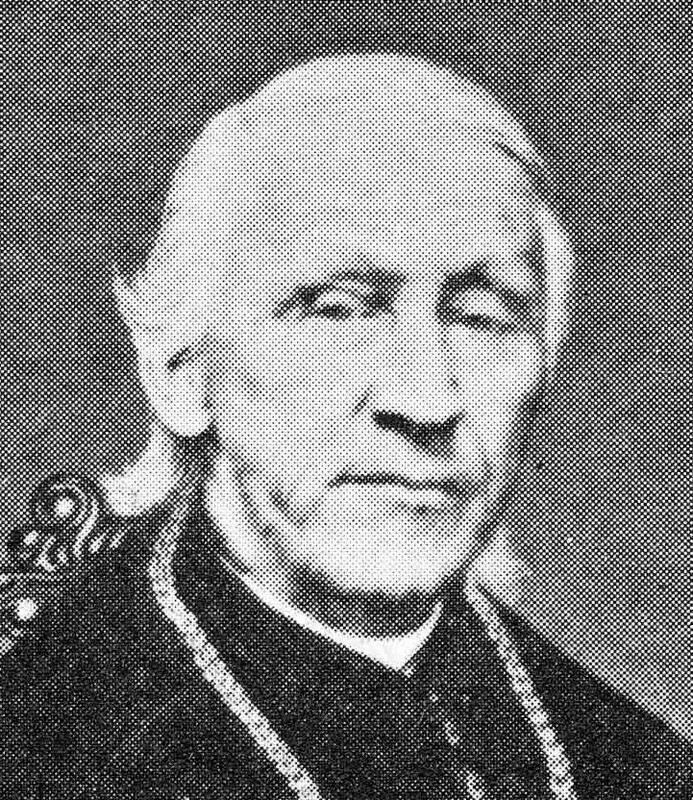 Appointed bishop of the new Diocese of Buffalo, he moved there in 1847 and spent the remaining 20 years of his life building the Church there. Beginning with 16 priests for 16 counties, he immediately began to build churches, and establish schools. One of his first concerns was the need for more priests. This, and his friendship with Nicholas Devereux, a Utica, NY businessman and philanthropist, started the chain of events which resulted in St. Bonaventure University. Bishop Timon was constantly on the move throughout the area and his diary gives a good impression of the multitude of tasks he set himself and accomplished. This transcript provides an interesting insight into the life, works, and times of one of the critical people in the history of this University. Bishop Timon died on April 16, 1867. His body lies entombed in the crypt of Saint Joseph's Cathedral in Buffalo.